Deposed seven time tour de France winner Lance Armstrong made his television appearance by giving an interview to Oprah Winfrey for CBS “This Morning” on Monday. The interview will be aired on Thursday and Friday. This was the first time that Armstrong has confronted doping allegations. The doping was termed as the most sophisticated, professionalized and successful doping program that sport has ever seen which included anabolic steroids, human growth hormone, blood transfusions and other performance enhancing drugs. According to Opera, Armstrong did not come clean as she had expected. Although she did not explicitly stated that Armstrong had confessed his doping allegations, USA Today reported that Armstrong had confessed to the doping in the interview. However, he did not identify which drugs he used. 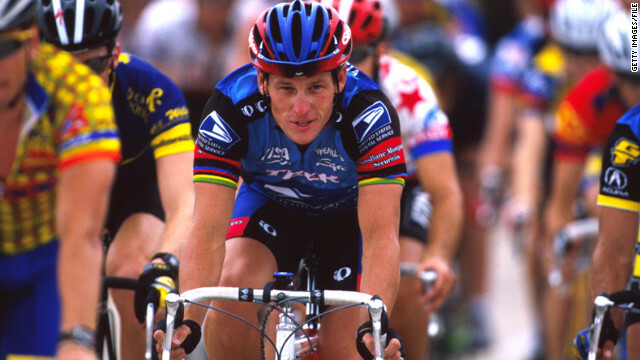 Armstrong had always denied the allegations and was fighting a case against USADA. However, he later decided not to waste tie in the court and withdrew from defending the allegations. As a result both US cycling association and World cycling governing body stripped him off his seven titles as stated that Armstrong had no place in cycling. The effectee in the case was his cancer foundation ‘Livestrong’. He had to step down as the chairman of the foundation after the doping allegations. He was extremely apologatic on Monday to the staff of the cancer foundation he had started. Armstrong could be forced to pay back $7.5 million to SCA Promotions that paid him a bonus for his Tour de France wins.